Symptoms: When the child was 7 or 8 months old, his eyes were very sluggish for a while, just like the hairpin. 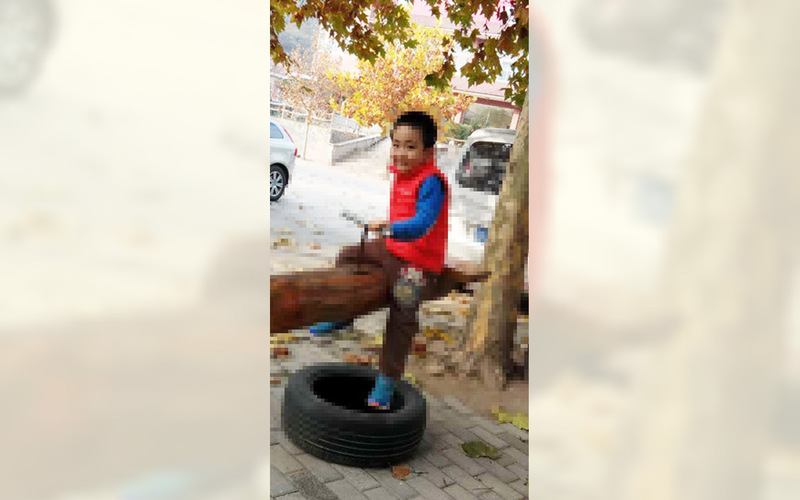 At that time, he learned to climb, but the mechanical crawling constantly, and the speed of climbing is super fast, and the eyes are sluggish when climbing. Most of the time, the eyes are chaotic, and they are not stable at all. Another point is the problem of stubbornness. The child then slowly starts to put things on the line. As long as the things they like are queued up, as long as someone accidentally touches or touches them, they have to make a big noise and set them up. There can be no change, very stubborn. There is also a high level of vision (as long as he is interested, especially what he likes to eat can not escape his eyes), space skills or mechanical memory is very strong (as long as you remember carefully, will not forget for a long time) Attractive appearance (very handsome and handsome); like blue light and so on. There are also language, we teach him to talk, he can only mechanically repeat, for example, we teach him: "Others call you, you promised to say '哎'", as a result, he said nothing, nor Understand what it means, ask him if he wants one or two things, guess back and forth, one, two, two, one, not corresponding to the real thing. Do not take the initiative to play with children, the biggest hobby is to run around, and the speed is particularly fast. I have to do what I want to do, no matter how to deal with him, no matter what. In the process of conditioning, the first child to see things look changed, as if to start to re-understand the world. And the exchange of active and people have eyes, and more. Slowly began to understand some things, no longer and before the stubborn. Just conditioning finished 3 times, to the park to play, accidentally sprinkled the milk in his own clothes and the ground, then Yan Bo hesitated for a while, did not say anything, we thought he would trouble, then we specifically raised, Results for a small meeting, just fine. Used to sprinkle something as long as it will be trouble for a while. So far, the conditioning finished more than four months, in the four months, the main changes are as follows: 1, the child in the conditioning after 2 months, it showed great courage, talking dare to say, Timid, and can do a simple choice to answer, to understand a lot of things, but also like reading, like naughty, tease us to play. I do not let dry things, and I long time staring resistance. Before they are very timid, the voice is very small, in the kindergarten children bully him, he did not dare to hands, and now as long as someone provoked him, he will fight back. 2, the child’s stubborn problem, almost no. Before the water sprinkled, he would not want to cry, and now sprinkled, he also used to step on the foot, very happy. We tread water on the feet, he will wipe us with a rag. Before the furnishings of the building blocks, as long as the move, it was incredible, and now give him all away all right. There are several cars he himself pile up, I specifically kicked him, he himself and pile up, nothing at all. Is sometimes the sprinkle of the drink, have to close up, because he is very fond of drinking, reluctant to sprinkle a little. Before the supermarket, he wanted something, life and death, we have no way to stop him, the more do not let him dry, he more twist, and finally only by him, now is not the same, and some he wants, we And he reason, he can listen to, even if the look, not so stubborn of the non-required. 3, the language, and now really do not have to deliberately teach him, we talk to him every day he slowly learned, before a word repeatedly taught several times to understand a general, but also very simple, very abstract can not understand, But now, occasionally pop out a word, and can be very correct use, take the initiative to say it. 5, communication aspects. The child began to consciously take the initiative and other children to play, and can find fun. Although the play time is very short, but this is a historic progress, before others have been playing with him, he almost ignored people. In short, he is more sensible than before, and he speaks rationally, he can listen carefully, as if to understand, and what he talked about, simply ignore what to do. To the park, supermarkets and other places, it will not be so crazy, and with us. Can be stable down with reading, to understand the expression of adults, as long as there is an angry tendency, will come to say that we do not let us angry. In short, we are happy to see the child step by step to restore the level of the same age children.